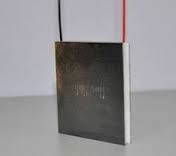 Supplier & Trader of thermoelectric module & Thermoelectric Module TEP-1264-1.5. Our product range also comprises of GSM Modems, GPS Receiver and Bluetooth Module. Gainer is a simple board developed by Shigeru Kobayashi and the team at Gainer.cc. This board utilizes the Cypress PSoC CY8C29466 IC making it a great board for digital and analog projects where AtoD and DtoA is required. Simple USB interface for reprogramming - no external programmer needed. The real power of this board is the ability to program it in a variety of languages including Flash, Max/MSP, and Processing.